The Sly Cooper series has a massive following, and for good reason. What gamer wouldn’t enjoy fluid platforming action, stealth and espionage, team-driven heists, and tongue-in-cheek humor all in one? 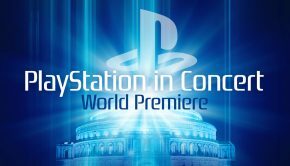 But ever since 2004’s PlayStation 2 release Sly 2: Band of Thieves, the Sly Cooper universe has had another element that has helped to shape its identity: the inspired and genre-defying music of Peter McConnell. Though he has worked on numerous Star Wars titles and adventure games, McConnell’s defining works also include Sly 2 and its sequel. Full Throttle and Grim Fandango, two of McConnell’s most well-regarded works, were certainly varied and progressive compared to most video game score. However, the Sly Cooper scores have always stood out for me as McConnell’s crowning jewel, both in terms of its avant-garde style and its ability to make the games more robust and deftly enjoyable. 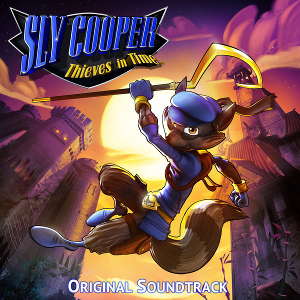 McConnell’s score for this 2013’s Sly Cooper: Thieves in Time is only the second in the series to be commercially released (the other being Sly 3), and it’s a mammoth album at over two hours in length. Make no mistake, those who enjoyed Band of Thieves and Honor Among Thieves will find tons to relish here, as those scores’ inimitable sound returns with even more dense layering and texturing. Thieves in Time utterly oozes the jazzy, big-band, retro, half-cocked grinning-style leanings of Henry Mancini, complete with a dizzying array of orchestral instruments. Where it differs, however, is in its incorporation of more world-style music with almost nonchalant effort. “Thieves in Time” almost immediately reintroduces the theme from Band of Thieves and Honor Among Thieves, but with a spin: it’s played on the zany, wobbly sound of a theremin and is soon joined by electric guitar. McConnell’s own vocals then mock the melody in its second verse. “Getting Stronger” quickly elevates to feature some of my personal favorite moments of the scores, beginning with a sleazy-sounding yet rousing saxophone solo, then kicking into a melodic electric guitar lead over restrained drums and dual, harmonized lead guitars before coming to rest upon an independent guitar solo. “Lost and Found” displays a mysterious yet confident vibe, wavering back and forth between a frigid tonality and playful quietude. McConnell certainly isn’t afraid to inject distinctive instruments or musical passages into his work. This is illustrated by “Here Come the Grizz” with its mocking xylophone and “Hippos on Ice” with its dance-themed effective sway. “Clan of the Cave Raccoon” sounds like a Neanderthal sound check with its quick staccato notes and rhythms. Contributing further to the diversity, “Tavern Tomfoolery” is a loud, obvious, yet entertaining nod to big band-style music shamelessly recalls spy movies from the 50s and 60s like The Pink Panther. “Hard Target” calls to mind Mission: Impossible given new life with flares of bass, double reed bassoon, saxophone, and piano, and a couple of tracks later “Juggling Act” playfully bats horns, flutes, motes of organ, and anxious percussion. With “Go West Young Raccoon,” McConnell begins to incorporate the aforementioned world music influence, as Thieves in Time’s score delves into the thematic collections representing the game’s hub areas. The Old West is the first to which McConnell tips his hat, as the western-style guitar of “…Raccoon” tousles with its own pulses of bass, horns, and occasional bass drums; this track is quite redeeming and helps carry its own narrative through casual instrumentation. “Blind Date” presents a showdown-style theme with its clamoring and irreverent trumpets, while “Riding the Range” merges tinges of harmonica within its necessarily easygoing foundation, and “From East to West” takes shots at the Thieves in Time title theme among accordion, flute, horns, and western core elements. McConnell visits the Ennio Morricone-esque Western sound only once more on the album, with “Armadillo Hunting,” a fun, full-band piece that perfectly embodies the theme from which it was inspired. There are also other world additions to the score. “There’s Something About Murray” exemplifies this, with an Eastern pan flute melody joining the track’s otherwise quirky yet formulaic horn work. The eclectic “Sly Samurai” features skittish string and horn flourishes peeking between piano and bass drum interplay., and “Rescue Rioichi” melds string work resembling an Eastern biwa being chased by piano and innocent bass lines. “Forty Thieves” constructs a Middle Eastern framework in which a multitude of horn explorations, gentle percussion, and soft chimes permeate the track’s drifting nature. Among the action tracks here, “Bridge Battle” thrusts forth a huge, menacing sound with exacting percussion before creating a unifying, resounding blanket. “Towering Inferno” funnels into a twirling dance of abstract horn crescendo at its end, having begun with the horns oppressive and spiraling outward in parallel with string melodies and powerful, deep, booming drums. “Lovely Night for a Sword Fight” sets another highlight with its music portraying a penultimate showdown in deep, thundering bass being pulled gradually forward by short bursts of dueling horns and percussion. “I Smell a Rat” piques interest with a cautious bass melody mingling with piano and layered classical horns, like a low-key yet effective dueling sequence. Roughly halfway through the next track “Whoa, Camel Whoa!” is a horn procession that envelops the ears and gets the listener helplessly involved and titillated by each trombone, flute, and delicate strike of percussion. Most of the world music influence on the album dissipates later in the score, with “Ms. Decibel” jumping from cautious string plucks and soft horns before being overtaken by aural tidal waves of double reeds. “Stop That Blimp” ages from an accentuated bass/drum driving melody into a compulsory string and horn assembly. “Meet Sir Galeth” temporarily, and ever-so-slightly, returns to the realm of world music with an Old English, almost quiet militaristic undercurrent, as its strings bring forth a heroic and dashing melody. “Of Mice and Mechs” and “Time Running Out” both stand as favorite tracks, and close out McConnell’s album proper. 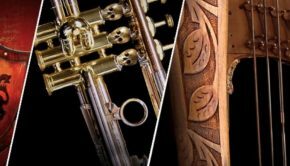 The former’s melodic drumming is joined by thrusting horn work and sharpened string developments, while the latter’s twinkling piano perfectly aurally illustrates sands running through an hourglass, raising in pitch and octave as the track expires. 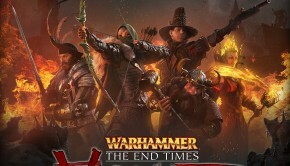 Thieves in Time’s four final tracks were composed by two of McConnell’s collaborators, Sony employees Michael Bricker and Jonathan Mayer. Bricker’s three tracks are fully electronic, with “System Cracker” pelting the listener with atonal pings of noise and unique reverb effects, “Spark Runner” being somewhat nondescript, and highlight “Alter Ego” possessing an old Atari flair as heard through new modern speakers. Jonathan Mayer’s contribution comes in the form of the Sony house band for which he’s the drummer, Infected Scorpion, and their track, “Thieves in Time (Metal Version)” is exactly what you’d expect: a classy take on the Thieves in Time title theme sounding like Queens of the Stone Age. There’s no question that Peter McConnell’s Sly Cooper: Thieves in Time is of the utmost entertainment level, and none could ever refer to it as fundamental, simplistic, or anything less than expertly crafted. The jovial and nostalgic narrative of Sly Cooper lends itself to McConnell’s music, and because of its starkly unique musical influence in comparison to more modern orchestral game scores, McConnell’s work is as tantamount to Thieves in Time’s mysterious and childlike nature as the game itself. McConnell has truly created something special here, a score so stuffed with blankets of complexity that a casual listening experience simply isn’t possible. Therefore, as a listen independent of the game, the score will either drift aimlessly over one’s head, or set it spinning uncontrollably like a top. Simply because of its length and artistic quality, it’s most recommended in parallel with Thieves in Time being played, and otherwise is difficult to swallow except in small amounts. Peter McConnell’s Sly Cooper: Thieves in Time is an instrumental set piece for the ages and a melodic near masterwork of dizzying complication, and therefore must be approached cautiously when apart from the game. When with it, however, the score is incredibly varied, accomplished, and impressive. Posted on April 15, 2014 by Christian Loescher. Last modified on April 9, 2014.